It's Sunday, which is my favorite night to sit down and work on my blog. I attended my teaching partner's wedding last night! She was beautiful and radiant and I had a lot of fun celebrating with so many coworkers outside of school! So, of course, as I sit down tonight the topic on my mind is... HOMEWORK! Oh the dreaded "H" word. Kids cringe when they hear it. Parents love it, hate it, and often complete it for the kids to spare them the agony! So, how do you handle it? To share my thoughts on homework, I'm linking up with Leigh from the Applicious Teacher for one of my favorite summer linky parties - An Apple a Day. 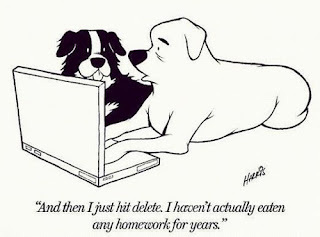 And this week's focus is on... homework! After seven years of teaching, I don't think there is ever going to be the perfect homework plan. However, our team has been really focused on making homework authentic and meaningful - at least as much as we possibly can. According to our district's policy, students should get an average of 50 minutes of homework a night as a fifth grader. Therefore, we really do work together as a team to make sure homework is balanced between our subjects. How do we assign and keep track of homework? We use a planner system on our team. Every student in our building gets issued a planner to use throughout the year. In fourth grade many students are used to getting a homework packet at the start of the week that is stapled together for all subjects. However, in fifth grade we're work on creating independence and responsibility. So, we no long staple assignments together. Instead, we have students fill out the planner at the beginning of the week. Students copy planners down on Monday morning and then get them signed by a parent on Monday night. This is our way of noting that parents are aware of the weekly homework. Our planner only tells students when an assignment is DUE unless they have multiple nights to work on an assignment. We also send a copy of the planner out to our parents via email along with what we call a "Weekly Update" this is the parent version of the planner. It explains all the assignments and what's been going on in class. This is also a way to let parents know if students had class time extra to work on homework. It does take a little extra work on our parts but since we started it, it's greatly cut down on parent emails about homework/tests/lesson plans, etc. To help keep students organized, besides the planner we use an 8-pocket folder system. We label our folders at the start of the school year. It has a pocket for Homework To Turn In and Homework To Do as well as pockets for classwork for all classes and a Take Home Keep Home pocket for nongraded work. This all in one folder eliminates the typical, "I forgot my homework folder" excuse because there is only ONE folder students need to remember. We found these folders to be also easy to organize and maintain than the accordion files. Those tend to explode with papers from our less organized students. These are the best product! We couldn't function without our 8-pocket folders! You can find them at Staples or any other office supply store. Even Wal-mart and Target carry them during back to school! How do we deal with late/missing work? 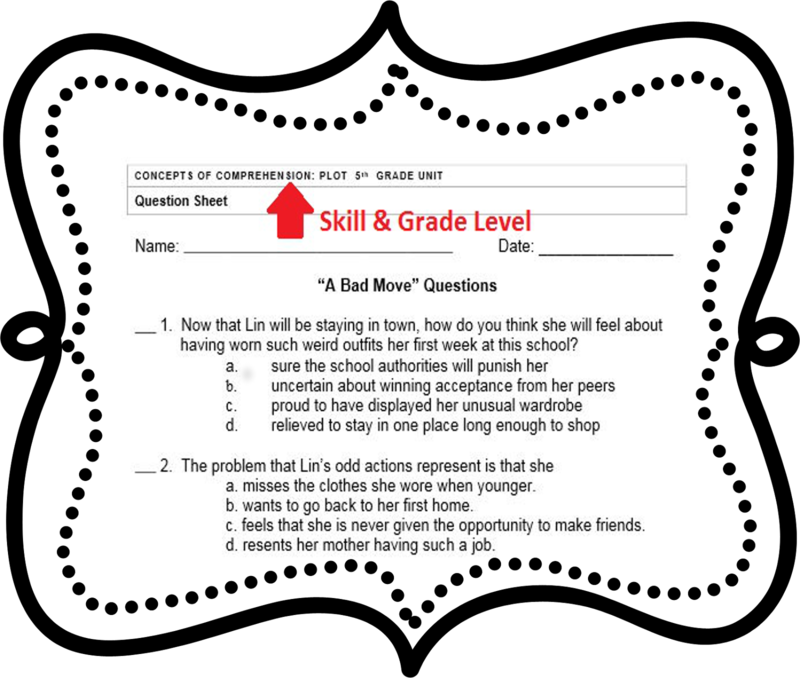 I've already blogged about our homework "receipts." This is our team's solution for dealing with missing work. It's a great visual reminder for us so we can see what has been turned in. We also all have homework boards in which we write down the assignment and student's name so the students can also have a visual clue that they did not complete an assignment. Students have one week to turn in a late assignment or it's a zero. We don't take off points - too hard to keep track of with 100 students. We just give them a week and then it's done. We don't beg them or hassle students for work - just write it on the board. For more information on our write-up system and homework receipts you can check out my previous blog post here. What does my "homework" look like? For Language Arts, a lot of my homework is already "set" by my school district. Students need to read 100 minutes at home and fill out a reading log. This is a district policy 3 - 6th grade. So they need to read 20 minutes a night which takes up a good chunk of their 50 minutes total of homework. Students also get bi-weekly spelling assignments. On weeks they do not have spelling homework - teachers get to choose the homework for their students. My teaching partner and I decided to give our students get a reading passage assignment from ReadWorks.org. These are short and sweet but allow students to practice reading skills that we cover in class. Plus, they have an extensive collection of skills, grade levels, and nonfiction pieces. If you haven't signed up... you need too, ASAP! This site is a blessing for teachers and it's all FREE! Our district also gives a weekly "Review Sheet" in Language Arts that is given district wide. 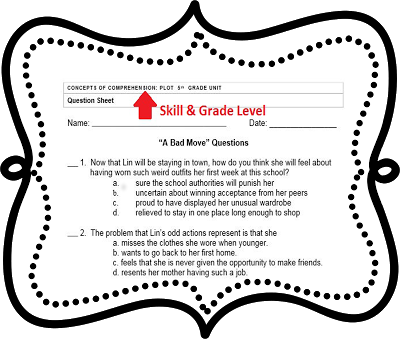 These Review Sheets review concepts we are teaching or that have been taught in lower grade levels. They focus on reading comprehension, grammar, vocabulary, etc. After all those "assignments" we typically do not give any other work. It's nice because we give the same work each week so parents and students know what to expect. For Social Studies, we no longer have weekly Review Sheets. Next year, I plan on giving more nonfiction readings that we can't get to in class for background information on upcoming units or just a simple "comprehension" check for the Social Studies material. I will also be giving out study guides that students will need to complete at home and in class. Study Guides will be essential questions taken from our "I Can" statements. As a district, our big push is in reading and making all teachers reading teachers. So even in Social Studies we will be giving "reading" homework. What does your homework look like? Any must haves? Do you have a system for keeping track of "missing" work? I like your form that they have to complete. That's a great idea and it holds them accountable. Get you thought together and try out this site.